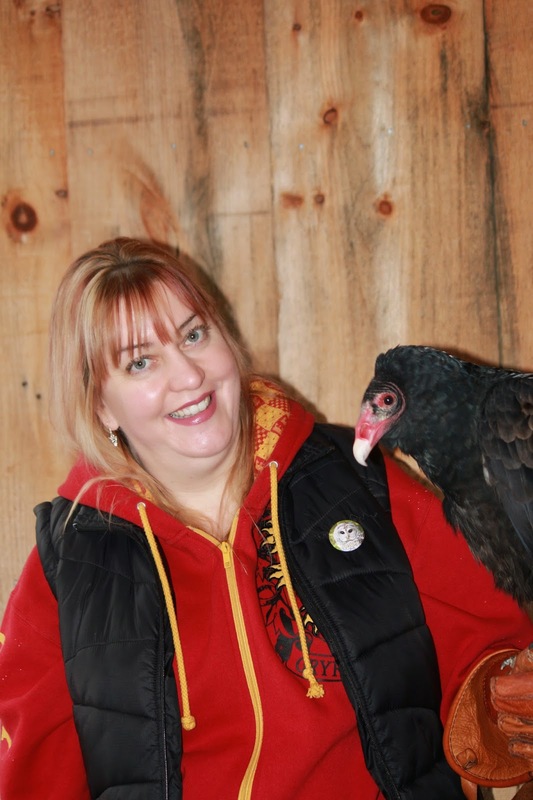 It's not everyday one gets to hold a Turkey Vulture! Rob and I spent our first New Years Day in 2005 at Mountsberg Conservation Area, so last Saturday marked 10 years of us visiting! We go a few times a year, as it definitely is an all season area with lots of events and things to do going on year round. I did a pretty in-depth blog about Mountsberg in 2010, and you can read all about that here. I will admit it's the Raptor Encounters we've become addicted too. It's an amazing experience to get so up close and personal with these amazing creatures. Because we go so often we've come to know the people there and it's nice to know they look forward to us walking through the door. It's more of a "catch up" session with friends when we go, of both the human and feathered species, and this past Saturday was no different. Rob meeting "Buzz", a new member of the Raptor Centre. 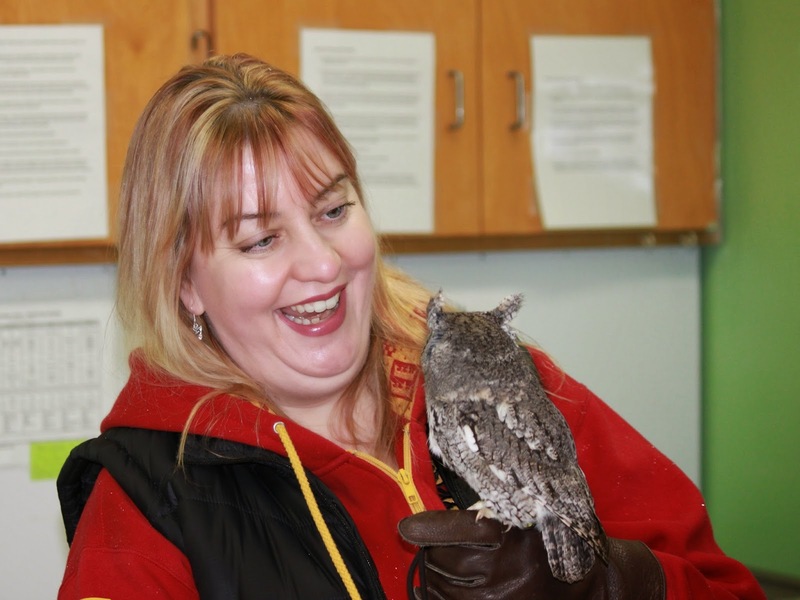 I have to admit I have a soft spot for a little grey Eastern Screech Owl that lives there, Echo. If this picture had a name, it would be "Joyful". First time I met Echo, September 2010. 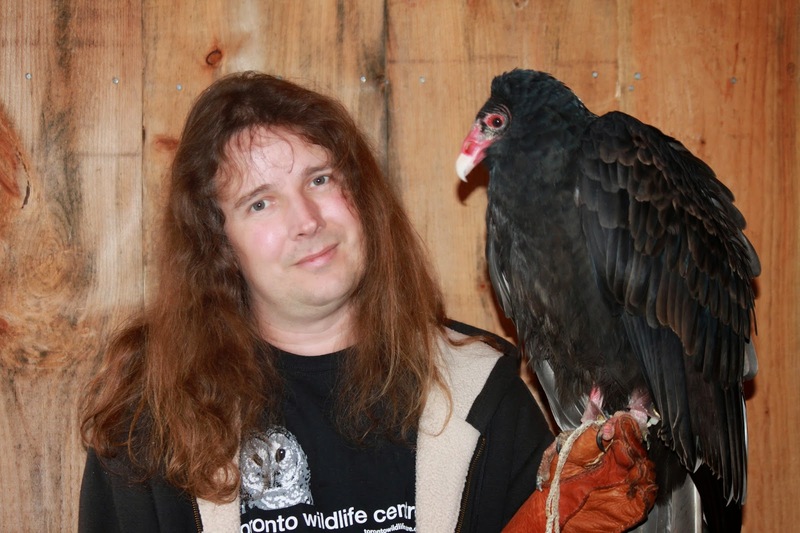 Echo and I in October 2013. 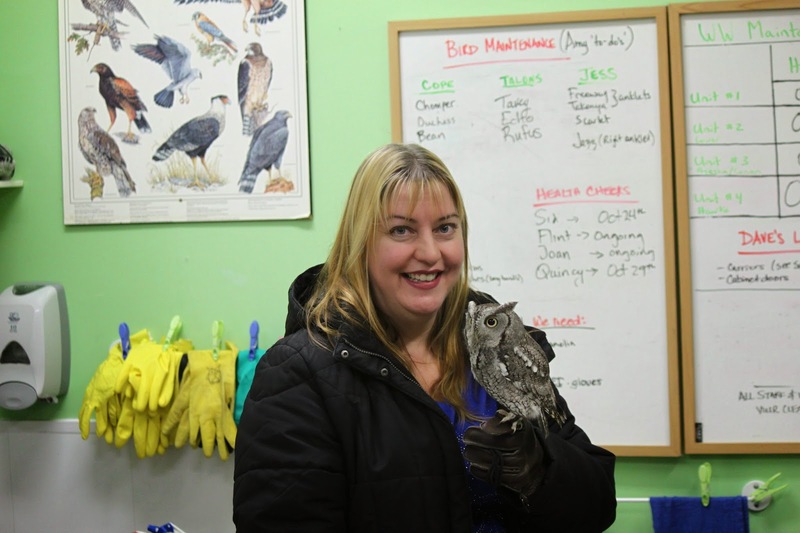 To read all about the Raptor Encounters and our first one in 2010 click here. I also explain how the birds came to be there in that blog. Another shot of me with Buzz. 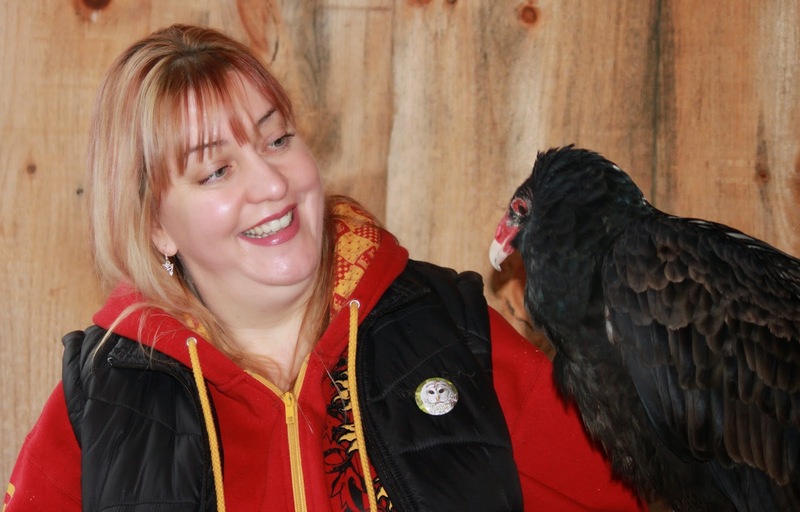 I highly recommend a trip to Mountsberg, and if you're looking for a unique gift idea for the bird lover in your circle of friends or family, you can't go wrong with a Raptor Encounter!